The local church is God’s plan to reach the world with the Gospel. He loves the church, gave His life for the church, and He made the church the pillar and ground of the truth. With this ringing endorsement, any failure on our part to reach the world for Christ should not mean we abandon the church. Quite the contrary. What the world needs is more Gospel-preaching churches. Where are new churches needed? Just about everywhere. The 2010 U.S. 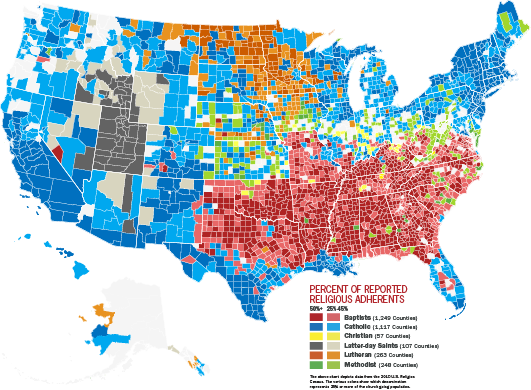 Religion Census revealed a county-by-county study of every denomination. 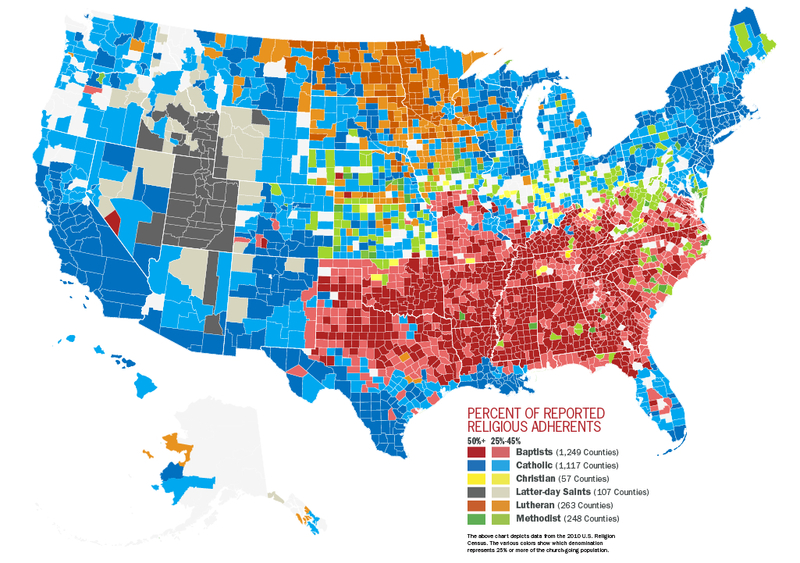 While most counties in the south are dominated by 25–50 percent or more of Baptists, that is not the case for the rest of the nation. Most counties are either dominated by religious groups that do not teach salvation by faith in Christ, or no single group makes up more than 25 percent of the whole. Keep in mind that these percentages are based on those who attend any religious group. They do not account for the unchurched, which the Barna Group reports to make up 28 percent of the adult population. We pray this changes. This map was originally published by The Baptist Voice in June, 2012.